The Father is aware of us, knows our needs, and will help us perfectly. One aspect of that perfect love is our Heavenly Father’s involvement in the details of our lives, even when we may not be aware of it or understand it. We seek the Father’s divine guidance and help through heartfelt, earnest prayer. 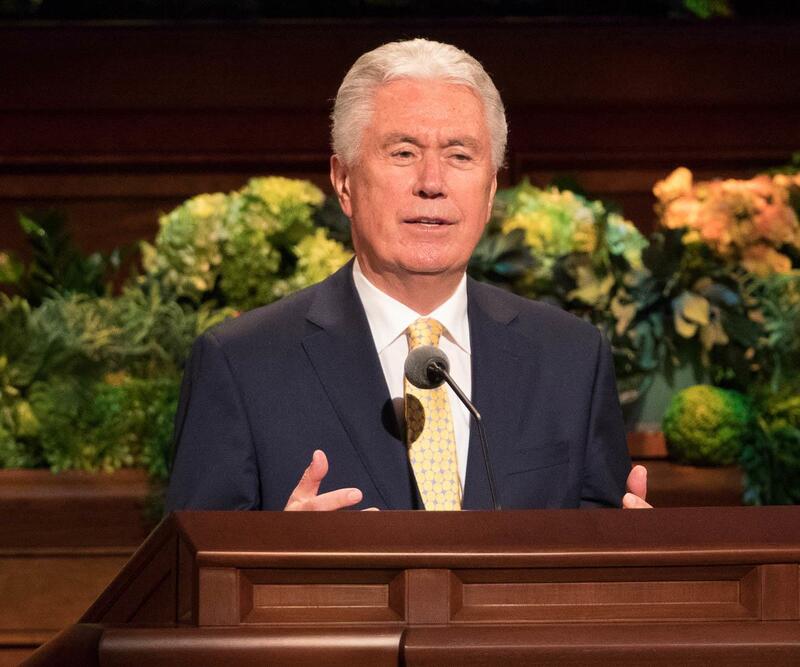 When we honor our covenants and strive to be more like our Savior, we are entitled to a constant2 stream of divine guidance through the influence and inspiration of the Holy Ghost. The prophet Mormon is an example of this. He did not live to see the results of his work. Yet he understood that the Lord was carefully leading him along. When he felt inspired to include the small plates of Nephi with his record, Mormon wrote: “And I do this for a wise purpose; for thus it whispereth me, according to the workings of the Spirit of the Lord which is in me. And now, I do not know all things; but the Lord knoweth all things which are to come; wherefore, he worketh in me to do according to his will.”5 Although Mormon did not know of the future loss of the 116 manuscript pages, the Lord did and prepared a way to overcome that obstacle long before it occurred. The Father is aware of us, knows our needs, and will help us perfectly. Sometimes that help is given in the very moment or at least soon after we ask for divine help. Sometimes our most earnest and worthy desires are not answered in the way we hope, but we find that God has greater blessings in store. And sometimes our righteous desires are not granted in this life. I will illustrate, through three different accounts, the ways our Father in Heaven may answer our earnest petitions to Him. Our youngest son was called to serve as a missionary in the France Paris Mission. In preparation to serve, we went with him to purchase the usual shirts, suits, ties, and socks, and an overcoat. Unfortunately, the overcoat he wanted was not immediately in stock in the size he needed. However, the store clerk indicated that the coat would become available in a few weeks and would be delivered to the missionary training center in Provo prior to our son’s departure for France. We paid for the coat and thought nothing more of it. Our son entered the missionary training center in June, and the overcoat was delivered just days before his scheduled departure in August. He did not try on the coat but hurriedly packed it in his luggage with his clothing and other items. As winter approached in Paris, where our son was serving, he wrote to us that he had pulled out the overcoat and tried it on but found that it was far too small. We therefore had to deposit extra funds in his bank account so that he could buy another coat in Paris, which he did. With some irritation, I wrote to him and told him to give the first coat away, inasmuch as he couldn’t use it. Heavenly Father knew that this missionary, who was serving in France some 6,200 miles (10,000 km) away from home, would urgently need a new overcoat for a cold winter in Paris but that this missionary would not have the means to buy one. Heavenly Father also knew that our son would receive from the clothing store in Provo, Utah, an overcoat that would be far too small. He knew that these two missionaries would be serving together in Paris and that the coat would be an answer to the humble and earnest prayer of a missionary who had an immediate need. “Are not two sparrows sold for a farthing? and one of them shall not fall on the ground without your Father. “Now therefore be not grieved, nor angry with yourselves, that ye sold me hither: for God did send me before you to preserve life. “For these two years hath the famine been in the land: and yet there are five years, in the which there shall neither be earing nor harvest. “And God sent me before you to preserve you a posterity in the earth, and to save your lives by a great deliverance. While in college, our oldest son was hired into a very desirable part-time student job that had the potential to lead to a wonderful, permanent job after graduation. He worked hard at this student job for four years, became highly qualified, and was well respected by his coworkers and supervisors. At the end of his senior year, almost as if orchestrated by heaven (at least to our son’s way of thinking), the permanent position did open up, and he was the leading candidate, with every indication and expectation that, indeed, he would get the job. Well, he was not hired. None of us could understand it. He had prepared well, had interviewed well, was the most qualified candidate, and had prayed with great hope and expectation! He was devastated and crushed, and the entire episode left all of us scratching our heads. Why had God abandoned him in his righteous desire? It wasn’t until several years later that the answer became very clear. 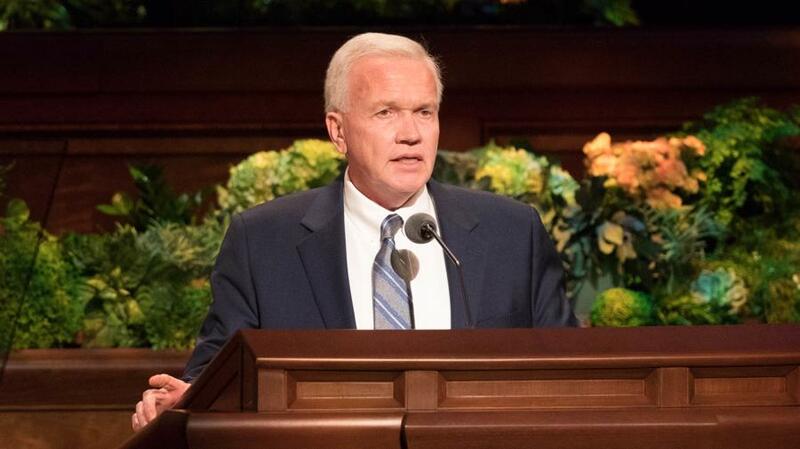 Had he received the dream job after graduation, he would have missed a critical, life-changing opportunity that has now proved to be for his eternal benefit and blessing. God knew the end from the beginning (as He always does), and in this case the answer to many righteous prayers was no, in favor of a far superior outcome. And sometimes, the answer to prayer that we so righteously, desperately, and earnestly seek is not given in this life. 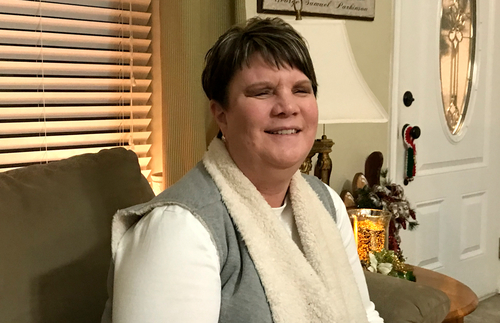 Sister Patricia Parkinson was born with normal eyesight, but at age seven she began to go blind. 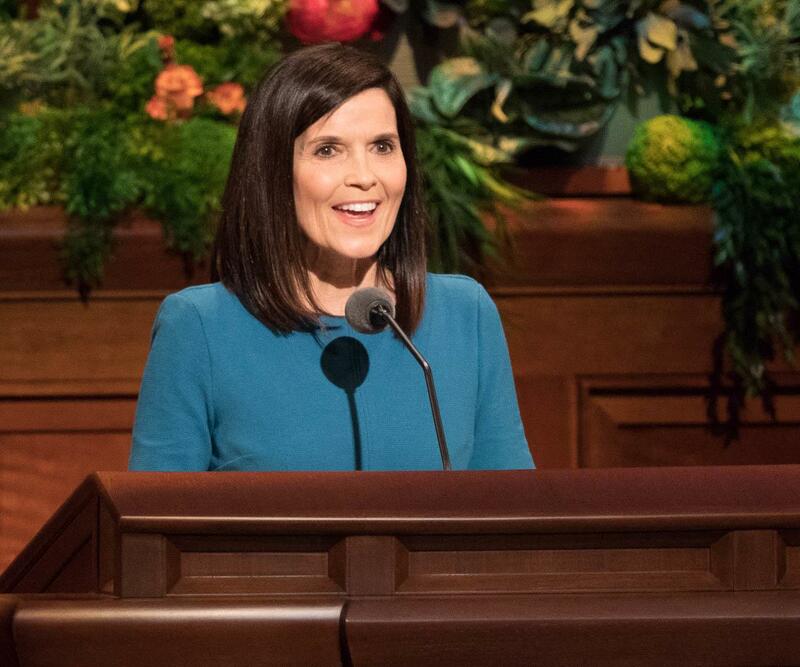 At age nine, Pat began attending the Utah Schools for the Deaf and Blind in Ogden, Utah, some 90 miles (145 km) from her home, necessitating her boarding at the school—which included all of the homesickness that a nine-year-old could possibly experience. By age 11, she had completely lost her eyesight. Pat returned home permanently at age 15 to attend her local high school. She went on to college and graduated with an undergraduate degree in communication disorders and psychology, and after a heroic struggle against doubting university admissions officials, she entered graduate school and completed a master’s degree in speech language pathology. Pat now works with 53 elementary school students and supervises four speech-language technicians in her school district. She owns her own home and her own automobile, which friends and family members drive when Pat needs transportation. 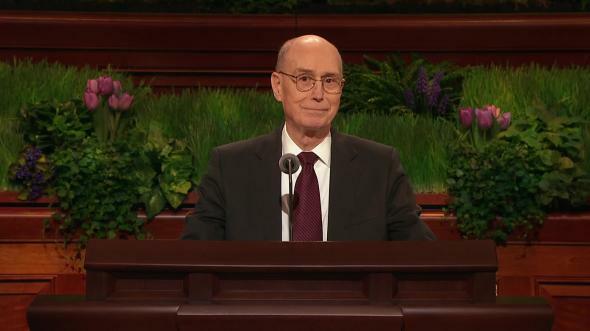 President Henry B. Eyring stated, “The Father is at this moment aware of you, your feelings, and the spiritual and temporal needs of everyone around you.”11 This great and comforting truth can be found in the three experiences I have recounted. We have the assurance that in His own way and in His own time, Heavenly Father will bless us and resolve all of our concerns, injustices, and disappointments. I know that God hears our prayers.15 I know that as an all-knowing, loving Father, He answers our prayers perfectly, according to His infinite wisdom, and in ways that will be to our ultimate benefit and blessing. I so testify in the name of Jesus Christ, amen. 1 Nephi 11:17; see also 1 John 4:8. 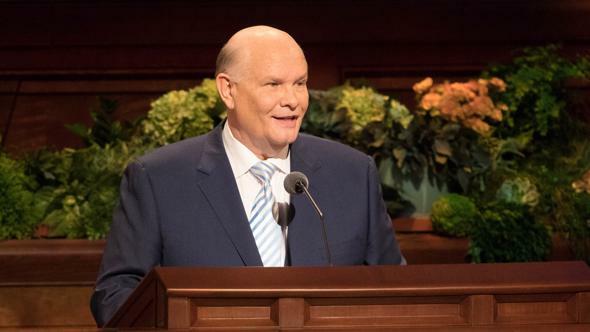 See Russell M. Nelson, “Revelation for the Church, Revelation for Our Lives,” Ensign or Liahona, May 2018, 93–96. From a personal interview with Patricia Parkinson, Dec. 10, 2018. 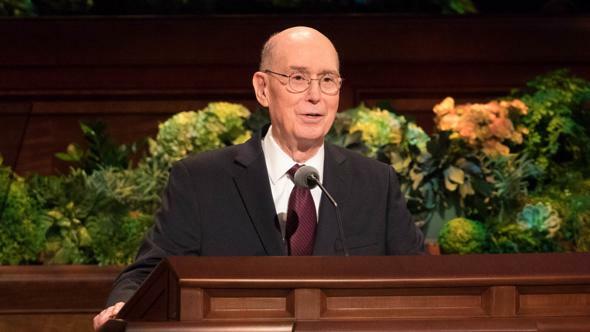 Henry B. Eyring, “His Spirit to Be with You,” Ensign or Liahona, May 2018, 88. See Jeffrey R. Holland, “An High Priest of Good Things to Come,” Ensign, Nov. 1999, 36–38; Liahona, Jan. 2000, 42–45. Neal A. Maxwell, “Lest Ye Be Wearied and Faint in Your Minds,” Ensign, May 1991, 90. See “Power of Prayer,” mormon.org/beliefs/power-of-prayer.